4 Bedroom Detached House For Sale in for £375,000. 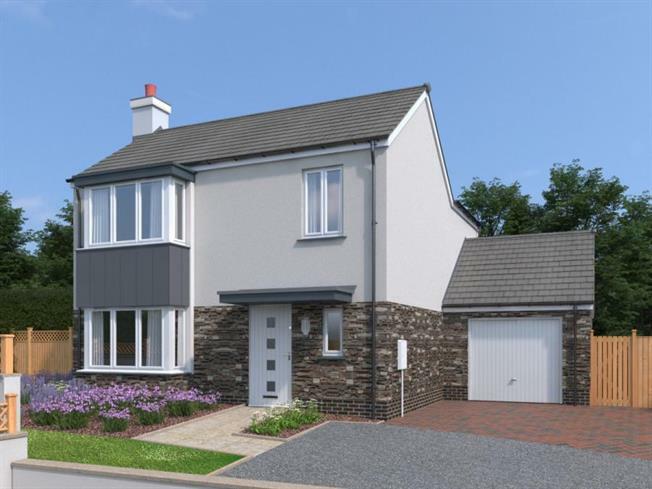 This is a beautiful four-bedroom home, with a practical, open-plan kitchen and dining room, separate living room, downstairs WC and utility room. The first floor features a master bedroom with en-suite, a family bathroom and three, spacious additional bedrooms. Sanctuary Homes is delighted to present this new and exciting development of two, three and four-bedroom homes. This stunning collection of mews, semi-detached and detached homes has something to offer for first time buyers and growing families alike. Combining high quality interiors with considerately designed exteriors creates an attractive and welcoming development. Heritage Point is situated in the beautiful rural setting of Goonhavern, a small village close to the stunning Cornish coastline. It combines rural and coastal living with the spectacular surf beaches of Perranporth and Newquay nearby. The county town of Truro is also a short distance away, from where access to Cornwall and the wider South West region can be gained easily via the rail network. The port of Plymouth is under 90 minutes away and in the opposite direction, Penzance and Land's End are around an hour's drive. Disclaimer - All dimensions are taken from plans and must, therefore, be treated as approximate. Some variation in the finished construction and landscaping should be expected. The site plan, images and photographs are indicative only, not to scale and for general guidance only.